Introduced in October 2018, Huawei’s Mate 20 Pro follows on from last year’s Mate 20 Pro, and builds on the success of the very highly rated (for photography) P20 Pro. Huawei has two different strands for its top-of-the-line smartphones, the Mate series, and the P series. The latter is generally considered the one to be aimed primarily at photographers, but the former has some very interesting photography specifications which are very appealing to enthusiasts. Probably the biggest news is the introduction of a wide-angle f/2.2 lens, which gives you a 16mm equivalent and is paired with a 20 megapixel sensor. As with the P20 Pro, the Mate 20 Pro uses a triple-lens setup, with the super wide-angle camera replacing the black-and-white sensor as found in the P20 Pro. That means that alongside the wide-angle lens, you have the standard f/1.8 lens, which is accompanied by a 40 megapixel sensor and gives you an equivalent of 27mm, plus a telephoto (3x optical) f/2.4 lens, which has an 8 megapixel sensor and focal length equivalent to 80mm. 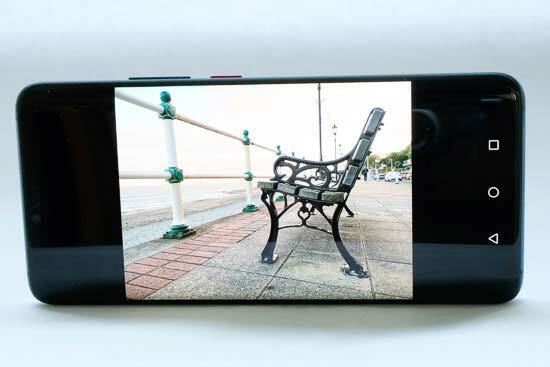 On the front of the phone, there’s a 24 megapixel f/2.0 selfie camera. 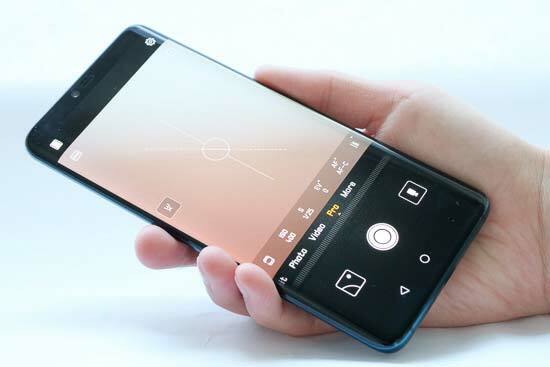 Other specifications which are likely to appeal to photographers include the ability to expand memory with a new type of memory card, super fast charging and a huge battery life, and 2K OLED screen. At the time of writing, the Mate 20 Pro can be bought, sim free, for £899.99. It is also available on a wide variety of different contracts. 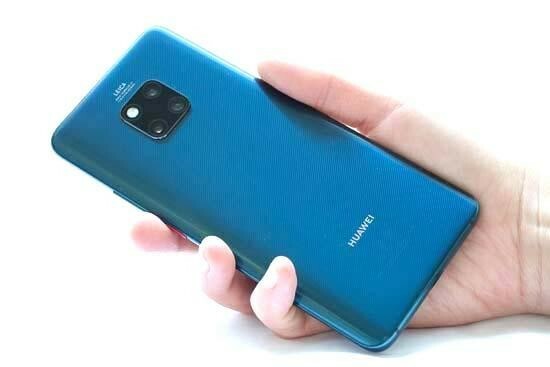 Huawei has gone for an ultra-slick design for the Mate 20 Pro. 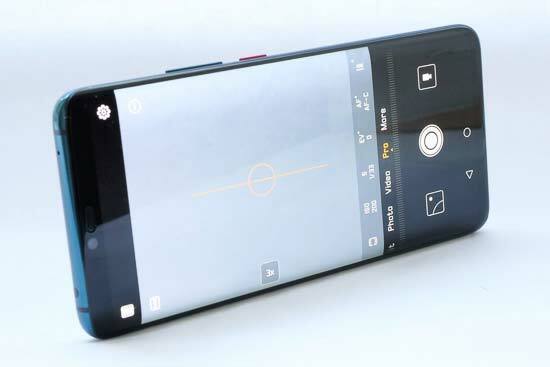 It uses a curved 2K resolution OLED screen, which now incorporates a fingerprint scanner into the screen itself and allows for a bigger screen to body ratio than the previous Mate 20 Pro. Symmetry is also the aim of the game here – where the P20 Pro placed its three lenses and flash unit in a row, the Mate 20 Pro places them in a square for an attractive mirrored look. The phone is available in four different colours – we’ve been using the Emerald Green version – which has a pattern etched into the back of it. 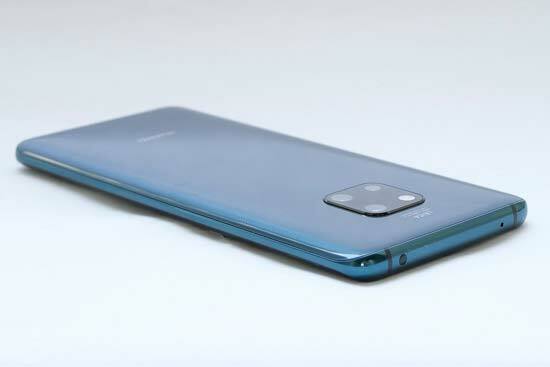 This is designed to make the rear resistant to fingerprints, as well as apparently helping to make the glass more durable and less slippy than other models. It’s still a fairly slippy phone though, so while it looks beautiful you may want to invest in a case as soon as possible to help it stay that way. Like the P20 Pro, the Mate 20 Pro uses a notch at the top of the display. The notch has been made bigger to incorporate a more secure front-facing camera which can now be used with Android Pay. If you don’t like the idea of a notch at all, you can switch it off – if you do, black bars will appear at the very top of the screen instead to create the illusion that there is no notch at all. There are a number of different ways to unlock the screen. You can do so via face recognition, using the inbuilt fingerprint detector in the screen, or by entering a PIN or pattern on the screen itself. If however, you only need to access the camera, you can do that without unlocking anything – simply swipe up from the bottom right hand corner of the lock screen. If you do that, you’ll be able to see images taken in your current session, but nothing older. As we’ve seen before with Huawei phones, the native camera app is extremely well-featured, being one of the most flexible on the market for enthusiast photographers. By default, the app will launch in Photo mode, which is the most straightforward way to shoot photos. Artificial intelligence is used in this mode, but you can switch it off in the menu if you feel that it’s going overboard on certain settings. You’ll find that if you point the phone towards certain subjects, a word and an icon pops up to show you what it thinks it’s detected. I’ve tried it in a number of different conditions, and seen recognition of Mountains, Blue Skies, Dogs, Flowers, Clouds, Autumn Leaves and more. There’s also “Super Macro”, which will automatically switch to using the wide-angle camera to shoot super close-up shots. There are other options, which you can change in the settings menu while using Photo mode. One of the most important is the ability to change Resolution to take advantage of the full 40 megapixels if you want to – by default, the phone shoots in a more sensible 10 megapixels. Other modes run along the button of the camera app. For stills, you’ve got Portrait, Night, Aperture and Pro. There’s also a Video mode, too. A selection of other modes are hidden behind the “More” section, which includes Slow-Mo video and Panorama. There’s also a Monochrome mode, but unlike with the Mate 20 Pro and the P20 Pro, there’s no monochrome sensor, so it’s just creating a desaturated colour photo. Portrait Mode is for use when shooting human subjects, creating a fake shallow depth of field effect. A new feature for the Mate 20 Pro is the ability to choose from different shaped bokeh – you can now go for circles, hearts, a swirl or discs. The circle shape is the most “natural”, but the others are all quite fun options, which are reasonably subtle. It’s a shame not to be able to use the different shaped bokehs with other subjects, such as pets – perhaps this is something Huawei could enable with an update at some point, though. Aperture Mode is similar to Portrait mode, in that it creates a fake shallow depth of field, but it can be used with any type of subject. In this mode, you also have the option to adjust how much blur, along with where the focus point is, after you’ve taken the shot by editing it in playback. For that reason, you might find you prefer to use it for your Portrait shots too – you can’t use the different shaped bokehs, though. Night Mode is something we’ve seen before in the P20 Pro. In essence, it works by shooting a series of short exposures, merging them together to create the impression of a long exposure. The benefit of this is that you can shoot low-light night shots completely handheld, watching the scene build up in front of you on screen. The Pro mode is one which is likely to be of high interest to enthusiast photographers. With this mode, you can change a number of different key shooting parameters, including ISO, shutter speed, exposure compensation, metering and AF type. In this mode, you can also shoot in raw format, but you need to enable it from the settings menu. In order to switch between modes, you can swipe between the different options. 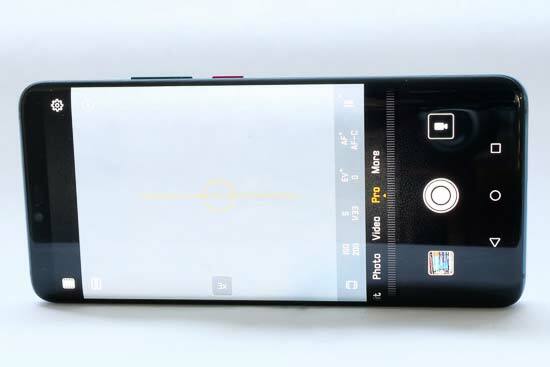 One of the disadvantages of the new curved screen design, is that a reduced bezel size can lead to false touches. We’ve seen the same problem with Samsung’s curved phones – on more than one occasion it was difficult to change between the different modes offered because the phone thinks you’re already touching it on the sides. Eventually, you get used to holding the phone in a certain way to avoid this problem, but it’s certainly something to look out for. As previously mentioned, the phone’s has three different lenses, with three different focal lengths. In order to switch between the different options, you can tap a box on the main camera window – you’ll move through 1x, 3x, 5x (which is digital hybrid zoom), and finally 0.6x, for the wide-angle lens. A quicker way to get to the wide-angle lens is to pinch inwards. It’s worth noting that as only the main (1x) lens can shoot at 40MP, if you have that resolution selected, you won’t be able to switch between the different lenses. Switching to the front camera leaves you with the option to shoot in Portrait, Photo and Video mode. In the Portrait mode, you can engage the same different shaped bokeh as seen in the main camera, which is fun to use for selfies. One of the new features of the Mate 20 Pro is the ability to expand storage via a brand new type of memory card. 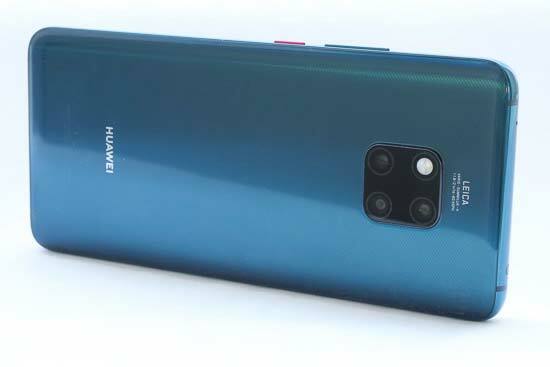 The Mate 20 Pro has dual sim card slots, but one of the slots can be used to take the brand new “NM” (nano memory) card, which is 45% smaller than a Micro SD card. The Mate 20 Pro has a 4200 mAH battery – giving it a very impressive battery life. It’s almost certainly going to last you a full day, unless perhaps you are constantly using it throughout the day. With the charger that comes in the box you can charge it via “lightning charging”, which can get you back up to 70% in 30 minutes. Alternatively, wireless charging is also available via an optional wireless charger at additional cost.